The design and construction work of the urban regeneration project at Henamulla – Phase II undertaken by Access Engineering PLC is now nearing completion. This project was initiated as a permanent solution for the relocation of underserved and derelict community settlements scattered across Colombo. Access Engineering PLC, the leading engineering company in Sri Lanka, was entrusted with the design and construction work of the said project which is a part of a drive that is spearheaded by the Ministry of Megapolis and Western Region Development with the forward vision to upgrade the living standards of the underserved communities by providing them proper housing apartment complexes and thereby utilising the lands occupied by the dilapidated settlements for the city’s future development. The project is implemented under the guidance of the Urban Development Authority and construction supervision of Central Engineering Consultancy Bureau. 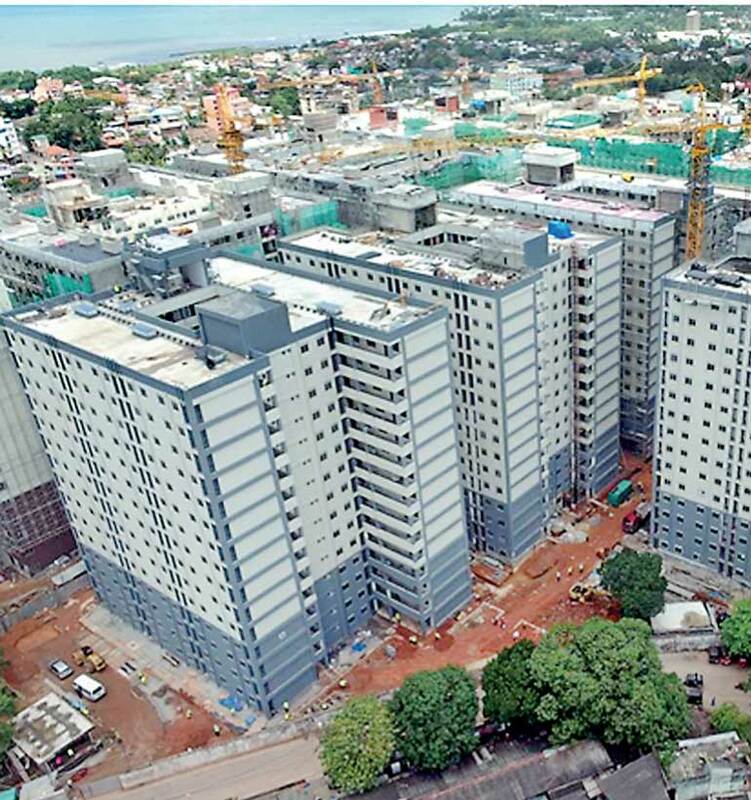 The scope of the project entrusted to Access Engineering PLC includes design and construction of four 15-storey apartment blocks which comprise 941 housing units of two bedrooms and spaces for living, kitchen, toilet and balcony along with the basic utilities. One of the four blocks has already been completed and ceremonially handed over while the other three blocks are now nearing the scheduled completion in January 2018. This development which intends to enhance the living standards of the community with pleasing visual environment and maximum privacy for individual housing units, is executed in accordance to the regulations of Central Environmental Authority (CEA), Fire Service Department and Ceylon Electricity Board (CEB).